State Department informs Congress that more than $200 million in bilateral assistance to the PA has been cut. The Trump administration has decided to cut more than $200 million in bilateral assistance to the Palestinian Authority (PA), following a review of the funding for projects in the Judea, Samaria and Gaza, U.S. officials and congressional aides said Friday, according to The Associated Press. The State Department notified Congress of the decision Friday, said the officials and aides, who spoke condition of anonymity because they were not authorized to publicly discuss the move ahead of its formal announcement. But in a brief, three-paragraph notice sent to lawmakers and obtained by AP, the department said it will redirect the money to "high-priority projects elsewhere." "At the direction of President Trump, we have undertaken a review of U.S. assistance to the Palestinian Authority and in the West Bank and Gaza to ensure these funds are spent in accordance with U.S. national interests and provide value to the U.S. taxpayer," the State Department said in the notice. 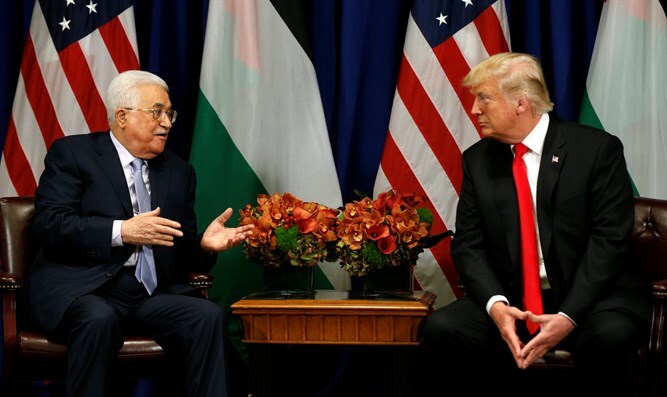 "As a result of that review, at the direction of the President, we will redirect more than $200 million ... originally planned for programs in the West Bank and Gaza," it added. "This decision takes into account the challenges the international community faces in providing assistance in Gaza, where Hamas control endangers the lives of Gaza's citizens and degrades an already dire humanitarian and economic situation," the notice continued. The notice did not give an exact amount of the funds to be cut, but says it is more than $200 million that was approved in 2017. The White House announced earlier this year that it had decided to re-examine the aid provided by the United States to the PA, in light of the ongoing disconnect between the sides since the decision to relocate the U.S. embassy to Jerusalem and recognize it as the capital of Israel. Nine Democratic members of Congress recently sent a letter to President Donald Trump demanding he publish whether aid to the PA has been reduced or eliminated without first speaking to Congress. Earlier this month it was reported that the State Department had transferred dozens of millions of dollars to the PA preventive security forces. American officials said the purpose of the money transfer is to enable the PA security apparatuses to act in the most effective way to prevent terrorism in Judea and Samaria. The funds in question did not amount to more than 12% of the budget originally due to be transferred to the PA and which stands at close to $240 million.